A beautiful and moving collection of photographs by Beowulf Sheehan, whose work captures the essence of 200 of our most prominent writers, historians, journalists, playwrights, and poets. Beowulf Sheehan is considered to be his generation's foremost literary portrait photographer, having made portraits of the literary luminaries of our time across the globe, from Roxane Gay to Masha Gessen, Patti Smith to Zadie Smith, Karl Ove Knausgaard to J.K. Rowling, and Jonathan Franzen to Toni Morrison. In AUTHOR Sheehan presents the most insightful, intimate, and revealing portraits of these artists made in his studio, in their homes, in shopping malls and concert halls, on rooftops and in parking lots, on the beach and among trees, surrounded by flowers and in clock towers. 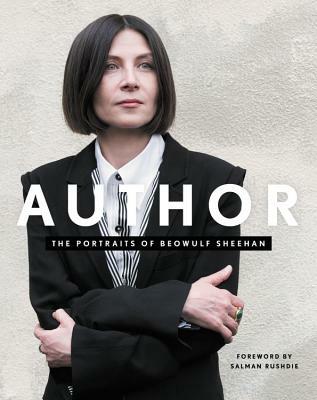 Following an enlightening foreword by Salman Rushdie, Beowulf Sheehan shares an essay offering insights in the poignant and memorable moments he experienced while making these portraits. A treasure gift for readers and lovers of portrait photography, AUTHOR is the only book of its kind to appear in more than a decade. Beowulf Sheehan's childhood love of stories in books and music grew into an adulthood love of storytellers in the arts, entertainment, and humanities. His photographs have been published in Elle, Esquire, Glamour, The New Yorker, Newsweek, Time, Vanity Fair, Vogue, and others. He lives in New York City. "Sheehan has breathed new life into literary photography. "—The Los Angeles Times, "Fall 2018 Book Preview"